I’ve just been reading an article called The 5 Greatest Mount Everest Climbers. It was probably quite an easy one to write, as four of the climbers pretty much pick themselves. Everest without George Mallory would be like Popeye without Bluto – the fate of both are inextricably linked. Not only was he the first to explore the mountain, but he was the most determined and best-known of the early climbers, and his disappearance on the Northeast Ridge in 1924 is an important part of Everest history and continues to fascinate to this day. As the first two men to climb the mountain and return alive in 1953, Edmund Hillary and Tenzing Norgay‘s names are equally linked with Everest and deserve their place on the list. Reinhold Messner and Peter Habeler became the first people to climb Everest without supplementary oxygen in 1978, but Reinhold Messner’s solo ascent by the North Face in 1980 broke the mould in three ways. Not only was it oxygenless, but it was by a new route and the first time anyone had climbed the world’s highest mountain solo and completely unsupported. If Mallory, Hillary and Tenzing were the early pioneers who broke new ground, Messner more than anyone else took climbing Everest to a new level by doing things nobody had believed possible. Once he even spotted a yeti, and ended up writing a book about it. The fifth name on the list is more controversial. While Eric Shipton was one of the greatest of all mountain explorers and played an important part in the early attempts (including giving both Hillary and Tenzing their opportunity), arguably climbing Everest was not his forte, and ultimately the mountain defeated him. But if not Shipton, then who should the fifth name on the list be? 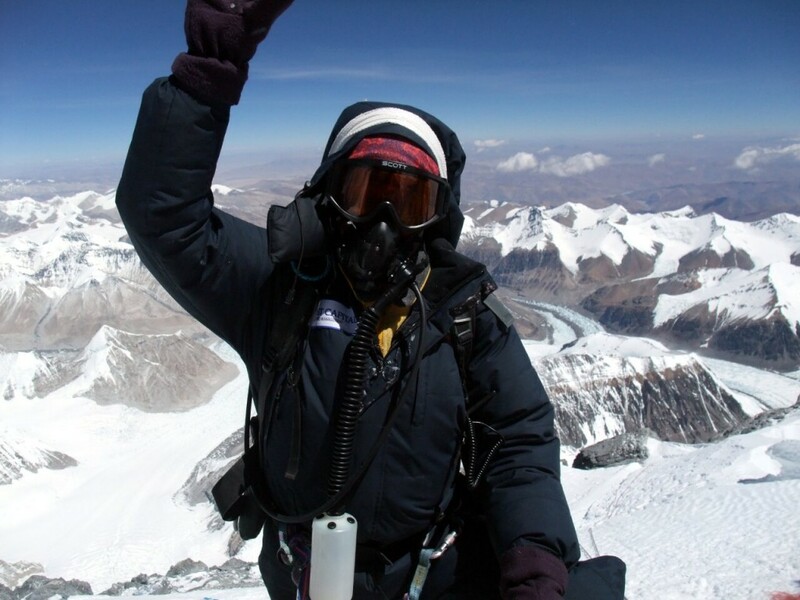 One name stands out: Apa Sherpa, who by the time he retired from climbing Everest in 2011 at the age of 51, had climbed it an incredible 21 times. His record won’t remain for long, as there are other younger Sherpas hot on his heels, but if Messner was the natural successor to early pioneers like Mallory and Hillary, Apa Sherpa represents the legacy of Tenzing more than anyone else. Indeed, it would not be stretching things too far to say the history of climbing Everest belongs to the Sherpas much more than it does to western mountaineers. It took 10 expeditions and 29 years for Everest to be climbed successfully for the first time, and members of the public were beginning to wonder whether it ever would. But with the 2013 Everest season starting as we speak, by the end of May it is likely there will be around 300 new Everest summiteers. If this represents “conquest” of Everest by Man (a point we can debate) then it needs to be stressed that of those 300 you will probably be able to count the number who climb it without the help of a Sherpa on one hand. Which brings me to the point of this post. If there’s to be an award for the greatest of all Everest climbers, then IMHO it should go to Tenzing Norgay, because he had to work so much harder to achieve his ambition than any of the other climbers. Brought up in the village of Thame close to the Sherpa capital of Namche Bazaar in the Khumbu region of Nepal, when still a boy Tenzing ran away to Darjeeling in India to make his fortune. His break came when Eric Shipton was recruiting porters for the 1935 Everest expedition, and picked Tenzing out from a crowd of young hopefuls. In those days Sherpas were recruited as porters rather than climbers. Not only did most of them lack the technical skills to climb difficult terrain, but they also had no ambition to reach the summit, and were there simply because it was a well paid and interesting job. They had the perfect qualities European expeditions to the Himalayas were looking for, though. They were strong at altitude, hard-working, stout-hearted and brave. Western mountaineers quickly realised if they put up fixed ropes, the Sherpas would happily carry heavy loads up pretty much any terrain. From early on Tenzing stood apart from his Sherpa compatriots. Not only was he one of the strongest, but he also had the ambition to climb which others lacked. He was a good organiser, and became a great leader among them. Western expeditions came to rely on him, and he became in demand as a sirdar (or head of the expedition support staff) who would lead by example, working hard himself and persuading others to follow. When he made the first ascent of Everest with Hillary in 1953 it was his seventh expedition there. After the 1935 expedition with Shipton, he went on two more expeditions with the British in 1936 and 1938. The war years were a lean period for Himalayan exploration, but Tenzing went to the Northwest Frontier, in what is now Pakistan, and honed his experience working for the British Army exploring the mountainous Karakoram region. Then in 1947 he joined the Canadian Earl Denman for an illicit attempt on Everest from the north. Denman had almost no money and didn’t even have a permit for Tibet, so they had to travel secretly. They had little chance of success, and risked being imprisoned, but Tenzing had become consumed by Everest like no man since Mallory. They failed even to reach the North Col, but they retreated in safety back to Darjeeling. By 1952 Tibet was closed and Everest could no longer be climbed from the north side, but at the same time Nepal had ended its political isolation, and Everest became open from the south. 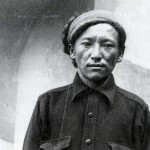 Tenzing joined the Swiss for two expeditions on the south side. 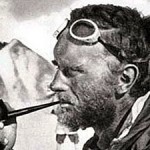 On 28 May he reached 8600m on the Southeast Ridge with Raymond Lambert, before having to turn around through a combination of bad weather and exhaustion. They were 250m short of the summit, and it was the highest anyone had ever been. 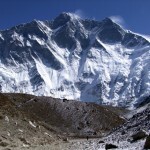 They returned in the autumn for a post-monsoon attempt, but the Lhotse Face was too dangerous to climb. By December Tenzing was exhausted. As sirdar he had been the link between the Nepali support staff and their Swiss employers. While he was always loyal, both sides had a tendency to think he was working for the other. He had needed to recruit the support team, ensure they were paid, and deal with dissatisfaction. He encouraged and cajoled, and did his share of load carrying, while at the same time having the responsibility of being one of the lead climbers. Despite carrying more and having to deal with the added mental stress, with the exception of Lambert he was also the strongest climber. At the end of the year he lay in a hospital in Darjeeling with fever. “This whole year you must rest and get back your health,” his wife Ang Lahmu told him. But by now he was too much in demand from expeditions travelling to the Himalayas, and when the letter came early in 1953 inviting him to join the British Everest expedition as sirdar, he could not say no. There was dissatisfaction with the British employers from the start. In Kathmandu the Sherpas were made to sleep in a shed in the grounds of the British Embassy with no toilet. The embassy staff were angry when they peed against the wall the following morning, but it’s hard to see what the poor Sherpas were expected to do. They have many remarkable qualities, but limitless bladders isn’t one of them. As they travelled through the Khumbu there were frequent threats of strikes, and two of the most vocal Sherpas walked out on him. But somehow he managed to keep the logistics running smoothly, and again he was one of the strongest climbers. The rest is history. On 29 May he stood on the summit with Hillary, and nobody was more deserving. When I began my own Everest summit push on 15 May last year, all of our camps, from base camp at 5200m all the way up to Camp 3 at 8200m, had been established for us by Sherpas, and all of our oxygen cylinders were waiting for us as we arrived. All I needed to do was carry my own personal kit and put one foot in front of the other. It was far from easy – in fact it was incredibly tough – but it was much easier than it might have been thanks to our amazing Sherpa crew. 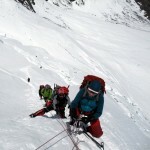 My summit day on 19 May took 18 hours, and throughout that time Chongba Sherpa, making his 13th ascent, stayed with me. I don’t know whether I would have reached the summit and returned alive had he not been there. When I published my expedition journal The Chomolungma Diaries, I tried my best to ensure my gratitude to our Sherpas shone through every page. 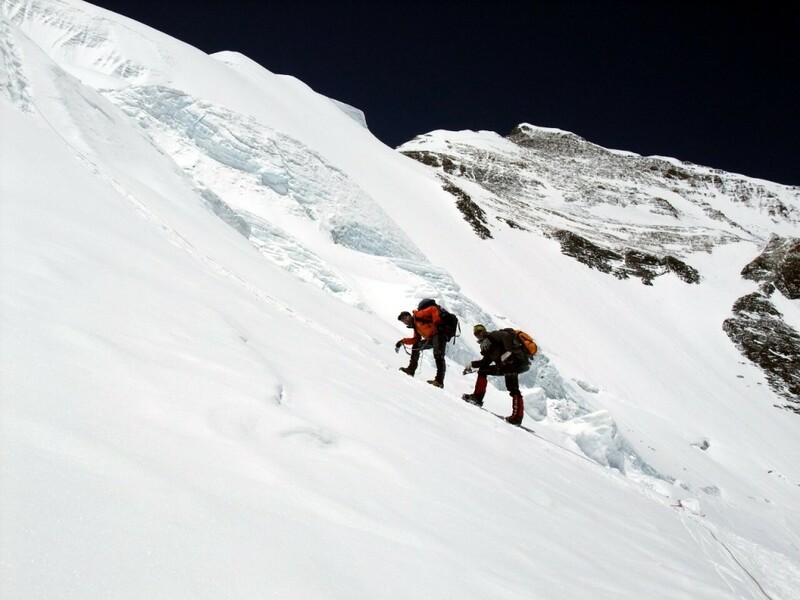 Climbing Everest is a physical challenge rather than a technical one. You don’t need to be a star rock climber or ice climber. The qualities needed are the ability to remain strong and healthy at high altitude, carry heavy loads when the air is thin, and stayed determined while the inhospitable climate grinds you down. You need to be patient as 24 hour winds batter against your tent, and you need to be able to exert yourself to extreme levels while slowly starving, for it’s virtually impossible to eat up there. The Sherpas are able to do all these things and remain cheerful, and they return to do it again and again. There have been some difficult technical ascents of Everest by high profile western climbers, but that’s just showing off. For me the greatest Everest climbers are the Sherpas, and Tenzing was the greatest of them all. Of course, that’s just my opinion, but who do you think? Great post! Thanks Mark especially as it is the 60th anniversary of the Tenzing Hillary climb and the 50th anniversary of the West ridge climb! Thanks, Sujoy, that’s a very good point! I would also like to dedicate the post to Mingma Sherpa, who died fixing the route through the Khumbu Icefall earlier this week, and helped hundreds of climbers to achieve their Everest dream over the years. I fully agree Mark. Tenzing was so instrumental in the early and first ascent yet rarely receives the credit he is due. Thanks for writing this great post. Thanks, Alan, glad you like the post. Enjoying your Everest coverage again. Hey mark, I just wanted to know why Tenzing has never been recognized by having a segment of south route named after him. ie Hillary step for sir Edmund Hillary!? The Hillary Step is so named because Hillary went up first and Tenzing came up behind. I don’t think Tenzing would have objected to this. It’s normal for these features to be named after the person who leads the route as it is they who first need to solve the problem of how to get up. Tenzing is one of my all time heroes. I saw the Conquest of Everest in the cinema aged 14 and fell in love with Everest – but should be Chomolongmu not Everest. Never lost my fascination but my one regret when I die will be that I never went to Everest base camp in the days when it was peaceful and respectful. This hauling 300 climbers up – well people – seems to have lost the magic that was there all those years ago. So Tenzing then Messner are my heroes and in fact all the Sherpa people I will always do all I can to support them. Loved your report on Tenzing. I actually married a Nepali aged 20 and although we eventually divorced we are still best friends. Long live the Sherpa people, let them not be spoiled by the new Everest baggers. Just come across your interesting blogs. Realistic and sensible about the corpses on Everest and I couldn’t agree more. Drifting a bit, as a mere Wainwrighter and one who’s never been above 13,000 feet I’ve always been fascinated by the NE Ridge of Everest. In terms of width of ridge, length, the steepness of the fall either side and the upward steepness, which summits or walks in the Lake District, Wales or Scotland compare, putting aside the minor 26,000 feet overall height differences and the 2 miles drop either side?